The word Business Model gets tossed around often in the startup community but few people truly take the time to understand the term and analyze it like a system. The Business Model Canvas as seen below is derived from the Business Model Generation Book by authors Alexander Osterwalder and Yves Pigneur (which is awesome by the way). When I’m evaluating a company for investment or analyzing one of my own startups, I find myself constantly using the one-sheet canvas. Click the link to download your PDF copy. It’s a simple but invaluable tool. The Business Model Canvas provides a visual look at the 9 building blocks of an effective business plan mapped out in a restructured canvas. Understanding each component is crucial in building your canvas model. Key Partnerships – Determine who your key partners are as well as suppliers. In addition look at what resources you will need from them and what resources they in turn will need from you. One of the most important things to keep in mind with your key partners is making it clear what activities you will expect them to perform. Key Activities – Key activities play a role in most of the 9 building blocks. Deciphering what key activities are required for each of these building blocks will get you one step closer to a successful business model. Key Resources – Your Key resources like your Key Activities need to be identified within each segment. Some questions to ask yourself are: What Key resources will your value propositions require in order to be successful. What Key resources are needed for your distribution channels, customer relationships, as well as your revenue streams. Value Propositions – Your customers will be looking for the value you can provide them. They have issues and needs that they are looking for you to solve. 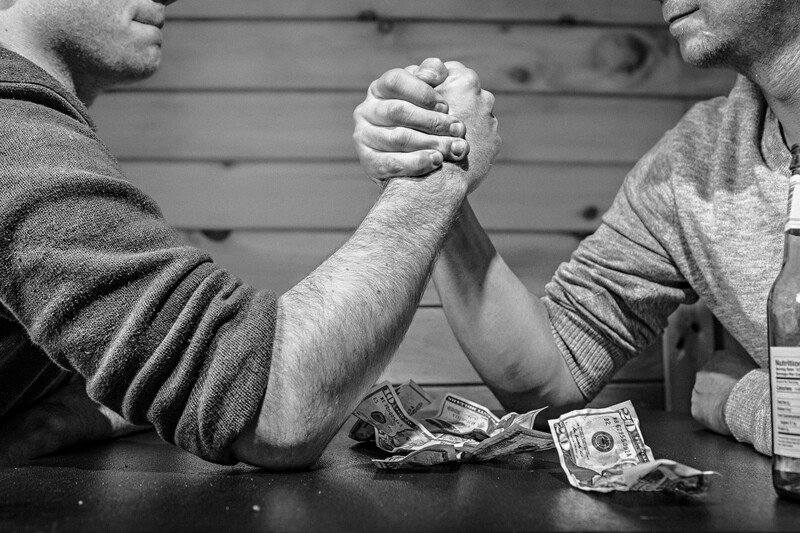 Your value proposition is necessary if you want to be set apart from competitors. Customer Relationships – Integrating your customers into your business model is critical. Look at what relationships you have established and how those relationships are benefiting both you and your customer. You will also be able to determine what is working, what is not, and where you need to improve with regards to building stronger rapport with new and existing customers. Channels – Channels are important in determining how you will reach your customer segment. What channels will you utilize? What are you currently using to reach them? How are you integrating your channels and which ones work best and are most cost-effective? Customer Segments – Without customers your business will not thrive. Research different customer segments, niches, and markets and decide who will receive the most value. Cost Structure – Determine what the most crucial costs inherent to your business model will be. Look at what key resources and activities are most expensive. Revenue Streams – Where is your current revenue stream coming from? Your target market is currently paying for something so determine what that something is. You also need to look at how they are paying and whether they are happy with the method they are currently paying. 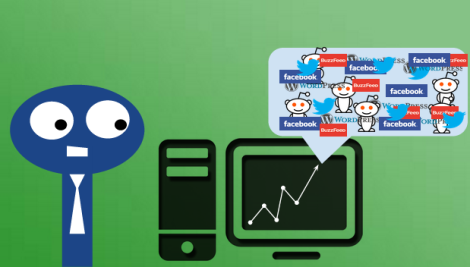 Lastly, ask yourself how much each Revenue stream is contributing to your overall revenues. You will see each segment provides some kind of value proposition; whether for you the entrepreneur, your partners, your customers, or all persons’ involved. When building your Business Model Canvas you need to be concise, focused on each point, and keep it simple. Once you master and understand the Business Model Canvas I recommend looking at integrating The Value Proposition Canvas. 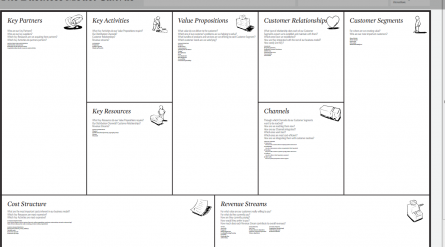 This plug-in for the Business Model Canvas was developed by Alexander Osterwalder. 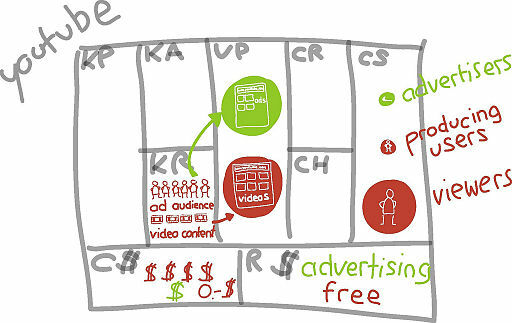 It is meant to be used in conjunction with the Business Model Canvas not to replace it. While the Business Model Canvas encompasses your overall company’s plan, the Value Proposition Canvas aims to look at the Value Proposition and the Customer Segment and the relationship between the two analyzing how they work together. By analyzing these two building blocks you are able to achieve a more detailed powerful structure. This will allow you to test both building blocks and how they can fit together to meet your customer’s needs. We will touch on the Value Proposition in another post. Hopefully you find the business Model Canvas as useful as I do in quickly vetting the strengths, weaknesses and viability of a business model.